No matter how we look at it, robots are the logical choice at this time to explore the red planet and as we make robots more autonomous, they will be better at their assignments than humans. Mars is the god of war. It is also the fourth planet from the Sun. Situated between 33.9 million miles to 100.7 million miles from earth, Mars has inspired many movies and the desire for mankind to visit the red planet. The reason that Mars appears red is that the surface material contains a lot of iron oxide. 4.5 billion years ago, when the solar system was formed, many of the planets received a dose of iron, which came from long dead stars. Earth's iron sank to its core when the planet was young and molten, while the iron on Mars stayed near the surface because of the planet’s weak gravity. In the 1960s, scientists thought Mars had water and life, even if it was just a simple plant consisting of fungus. With its 24.6 hour day and polar caps covered with snow, Mars is the only place near to earth that looks promising for life. The northern hemisphere of the planet is smooth and low, being one of the flattest, smoothest places in the solar system. Did this occur because of water that once flowed across the surface? Now,the planet's atmospheric pressure is too low to keep water in a liquid form, yet there appears to be water runoff at different times of the year. Meanwhile, the southern half of the Martian surface is rough and heavily cratered, and about 2.5 miles to 5 miles higher than the northern part of the planet. There is life practically everywhere that there is water on Earth, and the possibility that there were once oceans on Mars leads many to wonder if life ever evolved there. 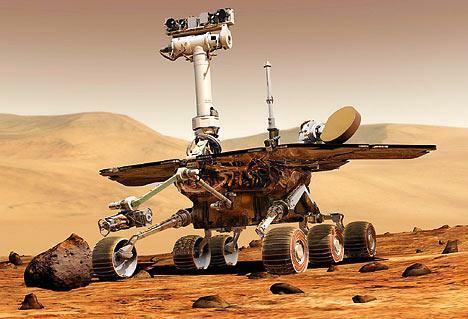 In 2003, the exploration rover, Opportunity, uncovered evidence of saltwater, which leaves open the possibility that life might at one time have existed on the planet, while another rover, Spirit, found rocks that indicated explosive volcanism and subsurface water. Methane was also discovered in the Martian atmosphere by the European Space Agency's Mars Express spacecraft. Methane is produced by life, such as animal digestion or volcanic activity. So, which method of production resulted in there being methane? In order to answer the question if life did or does exist on Mars, we might actually have to travel there and find out. The total journey time from Earth to Mars would take between 5 – 10 months depending on the speed of the launch, the alignment of Earth and Mars, and the length of the flight that it would take for the spacecraft to reach Mars. A full mission to Mars would take something close to two years to complete, sending humans. Of course, interplanetary human voyages pose definite scientific and technological challenges. 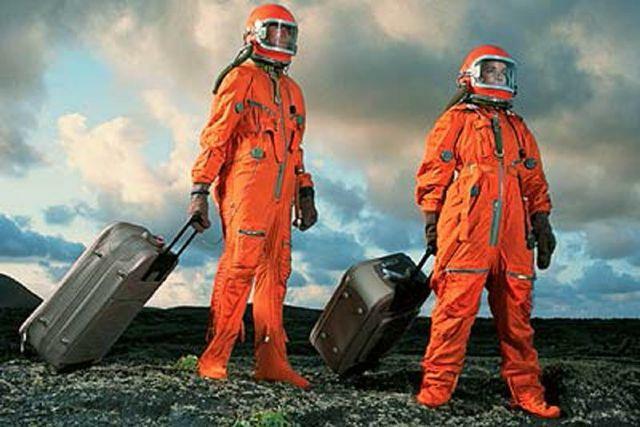 The rigors of travel, supplies of food, water and oxygen, and the effects of microgravity present major problems. Astronauts would be millions of miles away from help if they got sick or injured, and they would be confined together for years at a time. The alternative is to send robots on this voyage. Robot missions are economical, as robots would not need supplies, food and oxygen, and the robots could be left on Mars. If a robot is lost, it can be rebuilt, but not human lives; and robots can survive on the harsh planet, whereas humans will need lots of protection. If the astronauts do come back alive, they may face long-term health problems, such as cancer, due to mega-doses of cosmic radiation, because Mars has no magnetic field to protect them. Because the flight to Mars will be long and computer controlled, astronauts might get bored or experience psychological problems because of the lack of social interaction beyond the limited crew. On such a mission, things will break, but astronauts can solve problems better than a robot. 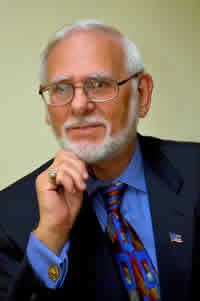 Yet, with newer robots having cognitive abilities, they might be trained to analyze problems and work out the solution. When performing scientific research, robots are meticulous and exceedingly accurate; thereby eliminating human error; yet astronauts could explore the environment of Mars faster, and react to discoveries. Until we have fully functional autonomous robots, astronauts would appear to be the choice to perform the necessary tasks, as they would not have to wait for instructions, like a robot would, and they could function even if complete communications with Earth is lost. 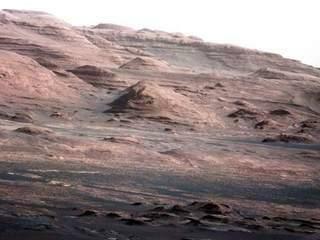 On a Mars mission, would we have to have samples brought back to earth for analyzing? We have several centuries of experience with field geology on Earth so that we could use this experience in doing geology work on Mars and analyzing samples there, using new techniques built into robots. To collect the right samples, mobility on the planet is required. So, would a human or a robot be better at getting you the right samples? An autonomous robot could do this, but the question is how soon would a fully autonomous robot be ready to perform this function? 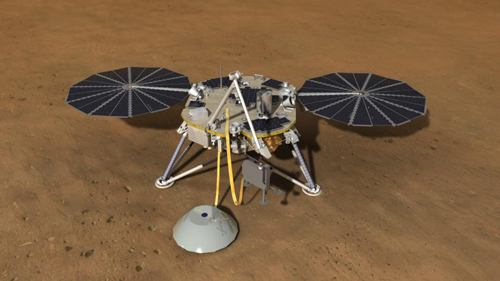 NASA announced that its latest mission to Mars will take place in 2016, when it sends the InSight spacecraft to look into the deep interior of the planet, as it drills underneath the surface. The problem with sending robots to mars is that they are mission specific and they do not have the ability to move about on their own and make decisions as to where to go and what to analyze. Humans would be needed to accomplish multiple tasks. 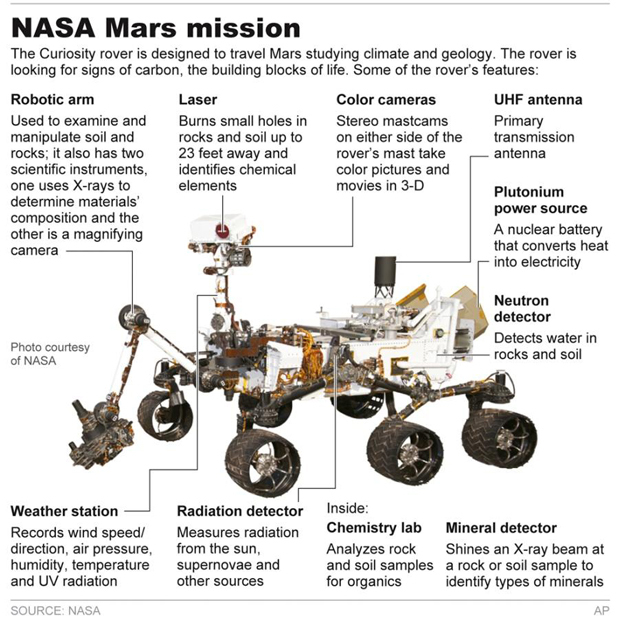 NASA sent the car sized rover, Curiosity, to Mars last year, with a two-year mission to discover if Mars has ever been capable of sustaining life, the rover is carrying ten scientific instruments, a seven foot robotic arm and the ability to drive across the Martian surface. Curiosity has a drill on its arm so powerful that it can turn a rock into powder, collect the powder, sort it into larger and smaller particles and deliver the smaller pieces to the rover's analysis instruments. The rover can drive using its wheel system, and the rover can avoid obstacles spotted by its cameras. We could send many robots to delve into the secrets of Mars over many years, which we have been doing, or we could send a few scientists and gather extensive information much sooner. Of course, we could send a combination of robots and astronauts on a Mars mission, utilizing the best of both. Because of the number of Mars’ missions that have failed, sending a human at this time could be fatal. Therefore, until we can make this trip safer than it presently is, sending a robot is the better choice. Even faced with the dangers of traveling to Mars, the Dutch company, Mars One, is taking applications to establish a permanent colony and more than 78,000 people have signed up for the one-way trip. Applications have come in from more than 120 countries with Mars One looking to get 500,000 people wanting to make the trip. The company is planning to send four people in 2023, if they can get funding for the $6 billion project, and then another team in 2025. 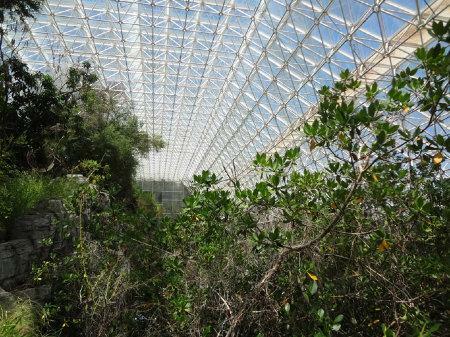 In 1991, eight people moved into a Biodome in the Arizona desert, which was designed to be self-sufficient, but the project failed as the biosphere could not produce sufficient oxygen for survival. Would Mars One be assigning their teams to a death sentence? No matter how we look at it, robots are the logical choice at this time to explore the red planet and as we make robots more autonomous, they will be better at their assignments than humans. If the robots find life and water, maybe we can eventually send humans. This article contains statements of personal opinion and comments made in good faith in the interest of the public. You should confirm all statements with the manufacturer to verify the correctness of the statements.